The smallest outbuilding at the Prescott Gateway Malls Regional shopping center is Village shops A. The 34,457 sq. 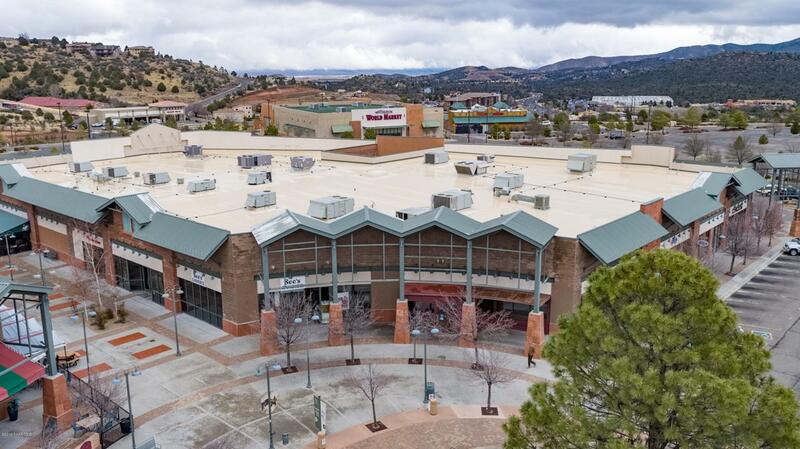 ft. multi-tenant center has eight leasable suites currently occupied by Pier 1 Imports, Chico's, Game On, Pralines of Prescott, #1 Alterations and Starting Point Church. The property is currently offered at a little over $82 per square foot which is way under replacement cost. Lots of upside with two more spaces to Lease and current rents providing an 8% CAP RATE. Gateway Blvd and SR 69 is the busiest intersection on SR 69 with 46,678 vehicles per day.